You are currently browsing the SafeSourcing Blog blog archives for December, 2015. In order to achieve the best specification, call SafeSourcing today.For more information on how we can help you with your procurement needs or on our “Risk Free” trial program, please contact a SafeSourcing Customer Service Representative. We have an entire customer services team waiting to assist you today. The first type of film that I will be focusing on is the Blown Film. The “blown” indicator on the stretch wrap refers to the manufacturing process that the film undergoes. There are advantages to using blown film versus cast film. It all depends on the use that the stretch wrap is intended for. Blown film is often more taught in order to keep shipments from moving during freight. Blown film can puncture more often.In order to achieve the best specification, call SafeSourcing today.For more information on how we can help you with your procurement needs or on our “Risk Free” trial program, please contact a SafeSourcing Customer Service Representative. We have an entire customer services team waiting to assist you today. Are you in the market fora new projectors? There are many brands and options available and researching can take a lot of time. Knowing what type of application you will be using can help narrow the search criteria. Do you need a projector for presentations while traveling, for an office conference room or for a home theater? In each of these cases, the size and features may be different. If you are going to be traveling, you may want a smaller lighter weight model. For the projector in the conference room, you may want to have a larger model that has a brighter display. For the home theater you may want a model that supports a widescreen display and higher definitions. There are several different types of technologies available including DLP, LCD and LED. Each one of the technologies offers different advantages and disadvantages so it important to research which will work best for you. Below are some other things to consider when doing your research. If you would like some help finding a projector, we can gather all the necessary information for you and help you decide which one meets your needs. If you would like more information on how SafeSourcing can help you, please contact a SafeSourcing Customer Service representative. We have an entire team ready to assist you today. Is your company getting the best rates for natural gas and electric? 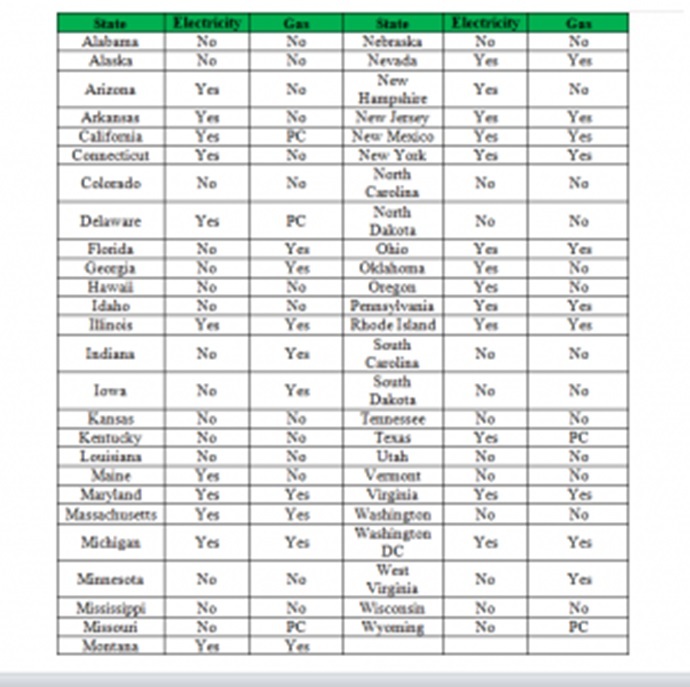 Since the Federal Energy Regulation Commission (FERC) chose to limit its power to wholesale transactions, the road was paved for states to choose how they would allow price competition. This is also known as deregulating, which, means that companies can choose the gas and electric that is used at their business locations. It doesn’t mean eliminating of laws that protect against fraud, but reduces how business is done, thus migrating towards a more free market. 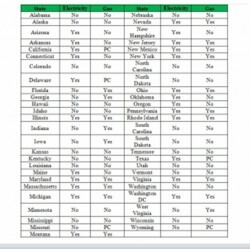 Currently, not every state is deregulated; please see which states are below. Reverse Auctions have become best practice for energy procurement. By inviting multiple energy suppliers to a reverse auction hosted for your company, all suppliers are able to quote interactively during a set time which extends until the lowest rates are identified. The method ensures fair and translucent competition, these benefits suppliers who want to win more business and challenges the market to offer aggressive rates. Are you having trouble reaching someone at home? With everyone carrying a cell phone, a lot of households have moved away from land lines. In doing so it is sometimes hard to get ahold of someone when they are actually at home. A lot of people like to keep their phones on vibrate as not to disturb others while in public and when returning home they place the phone down and do not hear the phone when doing things around the house. This has happened to me several times. I needed some important personal information for work and needed to get ahold of someone at home. There were three people in the house all with cell phones and I could not reach any of them. Turns out two of the phones were on vibrate and the other one was dead and charging. I started some research and found that there are several different devices that can solve this issue. Some of the devices are Bluetooth enabled and will connect to your phone when you are within range. There are other devices containing docking stations so that your phone will charge as well. With some of these devices you can connect to several phones at the same time. One such system is the VTech Connect to Cell Cordless Phone. It comes with a base station and 3 cordless phones that will connect up to 4 cellular phones at one time. Below is a list of some manufacturers that carry devices that can connect to cellular phones. If you would like some help researching a solution, we can gather all the necessary information for you and help you decide which device meets your needs. If you would like more information on how SafeSourcing can help you, please contact a SafeSourcing Customer Service representative. We have an entire team ready to assist you today.